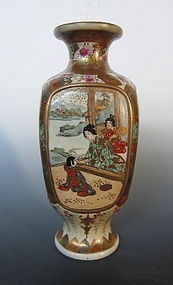 Japanese vase with a view of a temple near a lake within the mountainside. 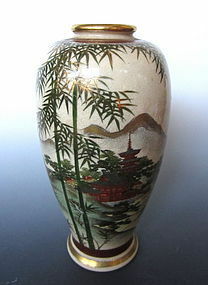 The way the bamboo is painted and the serene setting is seen in similar pieces done in Kutani and Kyoto wares. 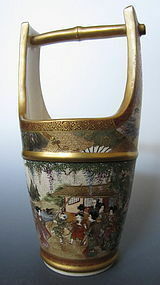 Vase contains a signature on the bottom set in a cartouche with the name, Shintou. 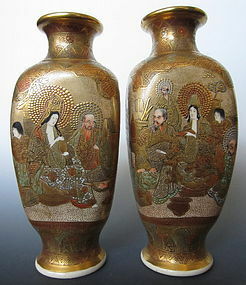 Age: Meiji/ Taisho period. 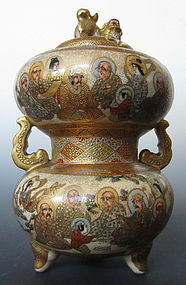 Size: Height: 7.25" Diameter: 2.75"
Japanese Satsuma vase with various scenes from different periods in Japanese history and one view with Chinese scholars or sages. 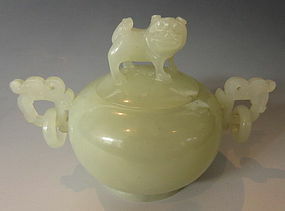 The views are framed with a motif of flowers and fans. 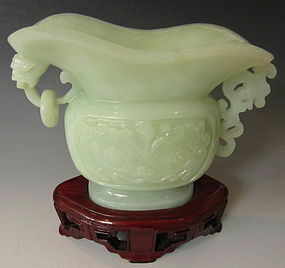 Bottom of the vase contains a name that is impressed in the clay. 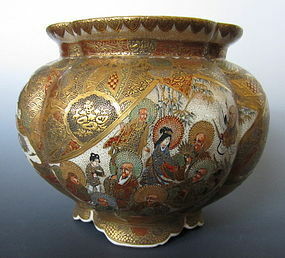 The top part of name is unreadable, the bottom contains the name Satsuma ware. 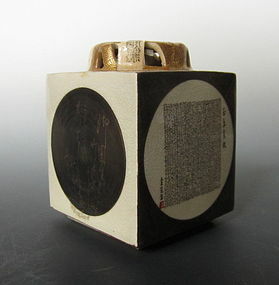 Age: Taisho Period. 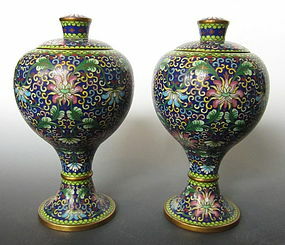 Size: Diameter: 2.75"